Strokes are the fourth leading cause of death in the United States, according to the American Stroke Association. Even if a person survives a stroke, they can have significant deficits, which interfere with all areas of their life. In fact, strokes are one of the leading causes of permanent disability. Quick assessment and recognition of strokes in the field is essential in order to increase chances of survival and decrease long-term disability. The Stroke Chain of Survival was developed by The American Heart Association to streamline the approach to stroke care. The chain is also known as the 8 D’s of stroke care because each step starts with the letter D. First responders play a vital role in the chain. The chain of survival starts with detection. 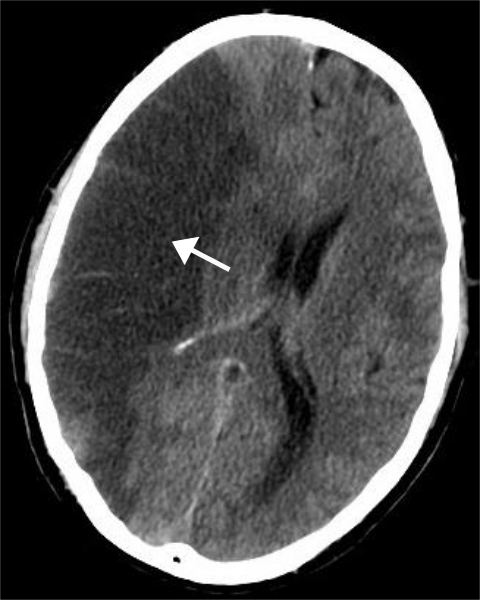 Although public awareness of stroke symptoms allows for quicker activation of EMS, the general public is not always aware of stroke symptoms. EMT’s and paramedics are a crucial part of early recognition of stroke symptoms. There are different types of strokes including ischemic, hemorrhagic and transient ischemic attacks (TIAs). Symptoms of a stroke may vary based on the type of stroke and the area of the brain affected. Typical symptoms to watch for include headache, slurred speech, weakness or numbness on one side of the body and confusion. Keep in mind, not all stroke patients present with textbook symptoms. An assessment in the field to evaluate for a stroke needs to be quick, but provide enough information to gauge the likelihood of a stroke. Keep in mind, the quicker a patient can be identified as having a stroke, the faster treatment can start. Some emergency service agencies have implemented the use of stroke scales as an assessment tool. Strokes scales are very helpful to perform a systematic, rapid and standardized assessment in the field. There are various stroke scales used including the Cincinnati Prehospital Stroke Scale, The National Institutes of Health Stroke Scale and the Los Angeles Prehospital Stroke Screen. Each scale measures clinical functions and asks relevant questions, which determine the likelihood the patient is having a stroke. Another important aspect in the care of a stroke patient in the pre-hospital setting is pre-arrival notification and transport to a designated stroke center. Notifying the accepting hospital you are bringing in a potential stroke patient allows them time to assemble the stroke team and expedites care. How do Bronchodilators work in an asthma attack?